White ants, otherwise known as termites, are sneaky creatures attacking nearly 180,000 Australian homes every year! These near-silent pests can destroy your house from the inside out, creating very little disturbance. And with a white ant queen able to lay 7,000 eggs a day, it is essential that know what to look for when it comes to these pests. In this article, we take a look at eight signs you might have white ants. Cure All Pest Control is the #1 for termite control in Brisbane. Call 07 3349 8572 or request a pest control quote today. 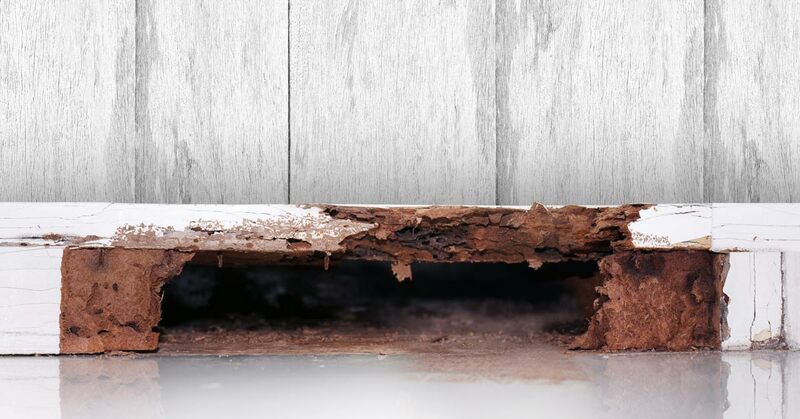 If you notice damaged timber such as weak or uneven wood, it is a sure sign you have white ants. The damage of the wood comes from white ants eating the wood from the inside out. A most common example of this is when homeowners accidentally put the vacuum through the wall due to the weak wood. A sign of white ants many people may not know about is the smell of mould or rotting timber. This smell occurs because large infestations present with a scent of mould. Therefore, if you smell mould and are sure there isn’t any other cause for the smell, call Cure All Pest Control today. Another little-known fact is that white ants produce moisture while eating away at the structure of your home. 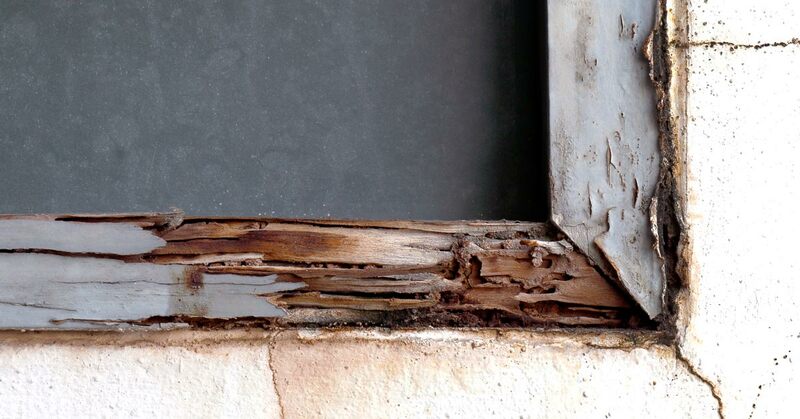 So keep an eye out for damp or discoloured wood! 3. Clicking sounds (like a typewriter) coming from inside the walls. These sounds come from two types of termites: the soldier white, which shake their bodies if they sense danger, and worker white ants, who make noise while eating. You’ll be able to hear them at work if you put your ear near an infested area. If you’ve noticed wings dropped around your home, it could be a sign there have been flying termites around your home. 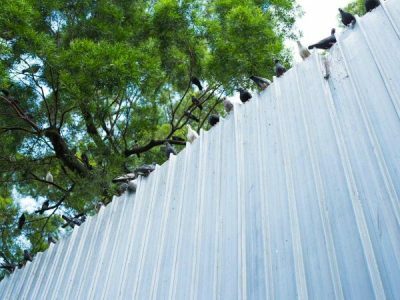 If you notice a build-up of discarded wings, be sure to contact Cure All Pest Control for an inspection. Frass, or white ant droppings, is a dark powdery substance that it pushed out of the termite tunnels around the area they have inhabited. Have you noticed that an easy-to-open window is now hard to maneuver? 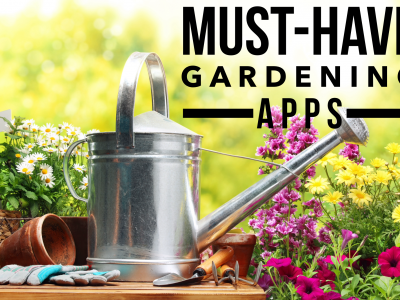 It may be a sign that white ants have found a home in the window frame or the area around your window, causing damage to the wood and making it difficult to open. Difficult to spot, tunnels in wood are usually found in pieces of broken timber. If such timber is near your home, it is a sign that white ants could also be in your home. Flying termites, or swarms, are usually the most visible sign of a white ant infestation. Termites swarm when they have left the nest and are ready to establish a new colony. Flying termites near your home are an immediate sign your house may be in danger of an infestation. Have you noticed any of these signs around your home? 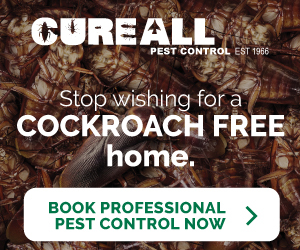 Contact Cure All Pest Control for an inspection today! 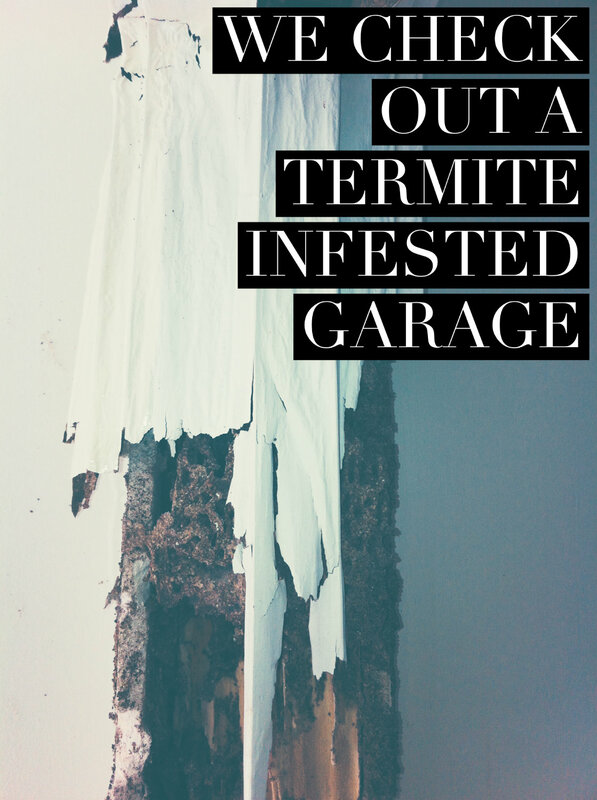 Want to prevent your home from a termite attack? 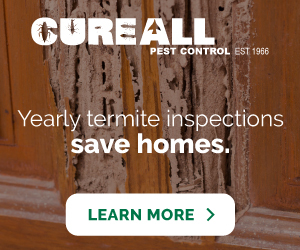 Contact Cure All Pest Control today to discuss preventative termite control!